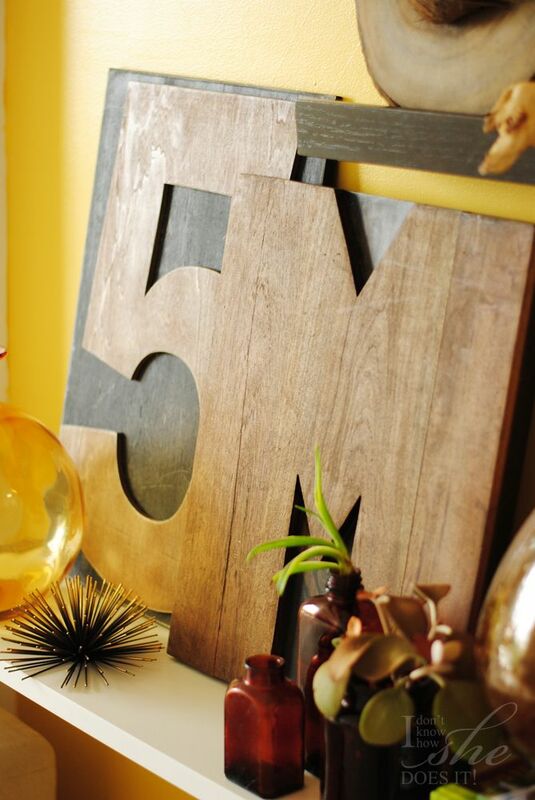 Read along to find out what the 5M stands for. 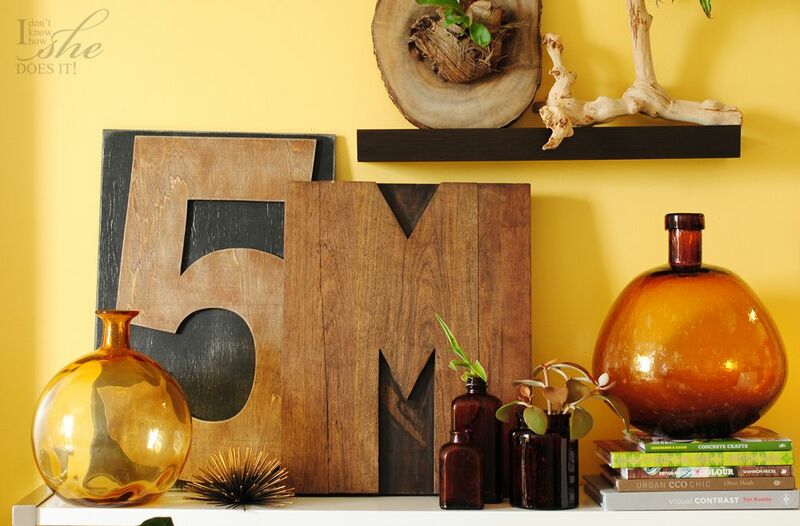 Decorating with letters can always make a great statement. They can spell out an idea (Yummy, Eat, Happy, etc) or have a personal meaning. 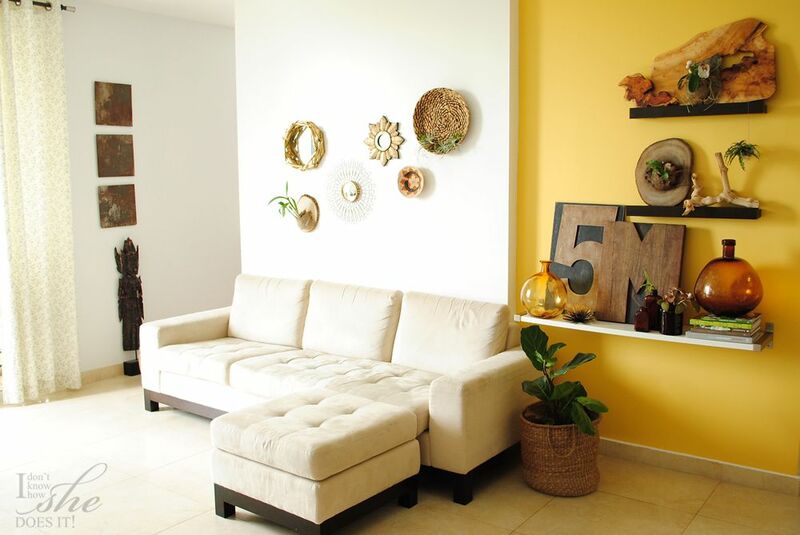 Sometimes they’re use as initials of a name or family name but no matter what they stand for, they can make a difference in the look of a space. Wood never fails to dress an area. Over the past weekend, I struck a great deal while “just passing by” one of my favorite HomeGoods stores. I acquire one wood letter and a number that I’ve been eyeing for a while now. The M5 (while it might sound like something out of a James Bond movie) stands for our family’s last name Marrero; while the 5 is the total of creatures that live under this roof! I’m loving how great the contrast of the wood grain look against the yellow wall and what’s more the way they look with the other accents I have on my living room. Although this is a temporary place for my letters (I have other plans for them), for the time being I’m enjoying their big impact! If you want to see more ideas on how to decorate with letters, visit my “Letters and Initials” board on Pinterest. So glad to always see you around! I love what you did with your rooms! 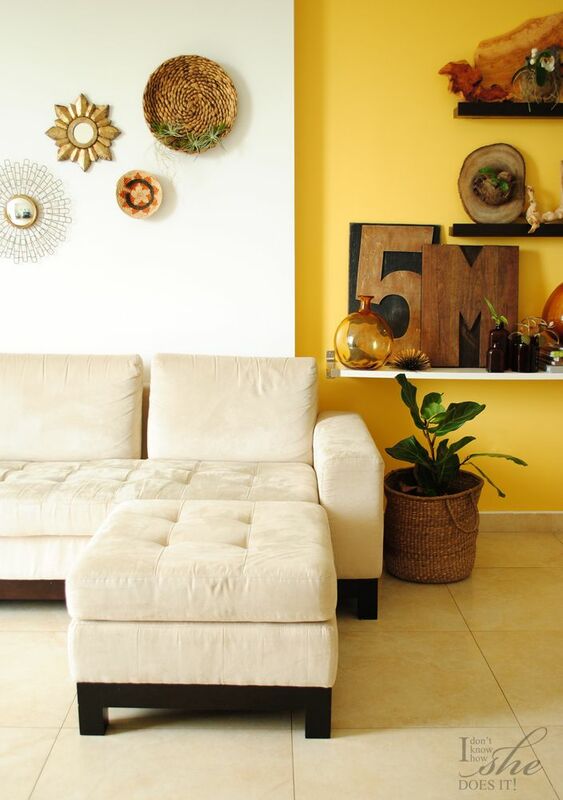 Your house is truly one beautiful cozy home where much love and creativity went into! I never get tired of seeing pictures of your home! Hello Suzanne! Thank you for such a lovely comment and so sorry for my late respond. Appreciate your visit very much!!! Hi Jen and thank you so much for stopping by and for your kind comment. I love these wooden letters very much and now that we are moving, I'm trying to think where to put them. Lets hope for a great place 😉 Have a lovely day!! !